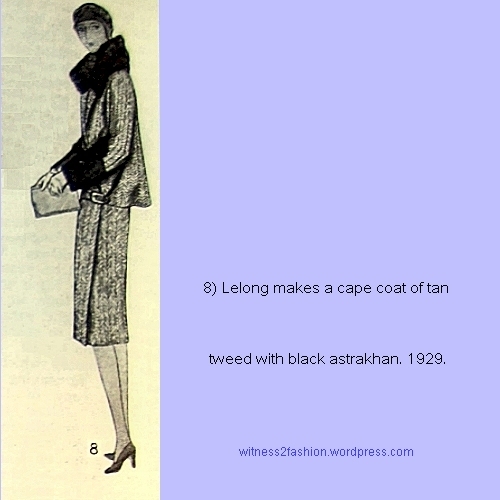 An embroidered coat from Delineator, August 1926. 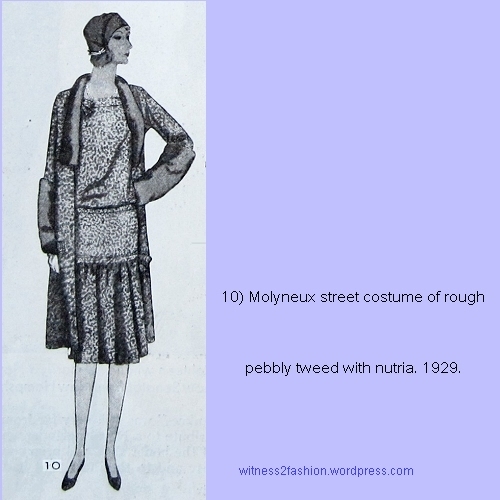 Today’s post doesn’t have a theme; these are just patterns I find attractive, and they are all from the 1920’s. 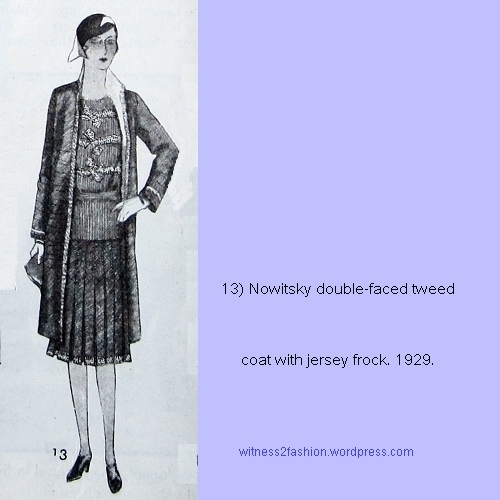 The coat itself is probably a Butterick pattern, but I don’t have another picture of it. 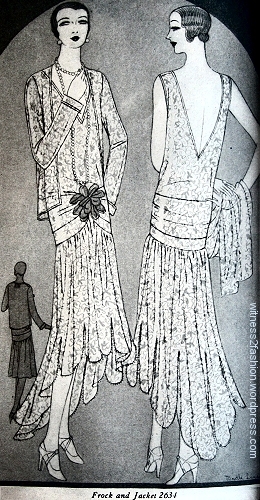 Fullness below the elbow was often seen in 1926 patterns. 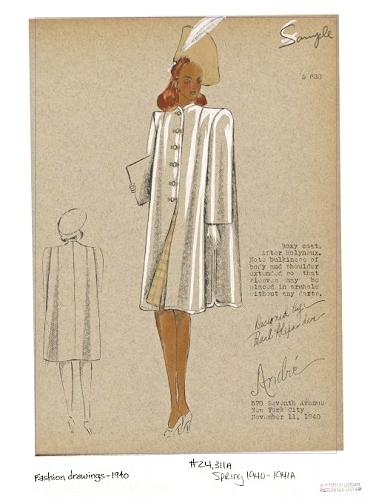 A closer view of the coat and the embroidery transfer, Butterick 10464. 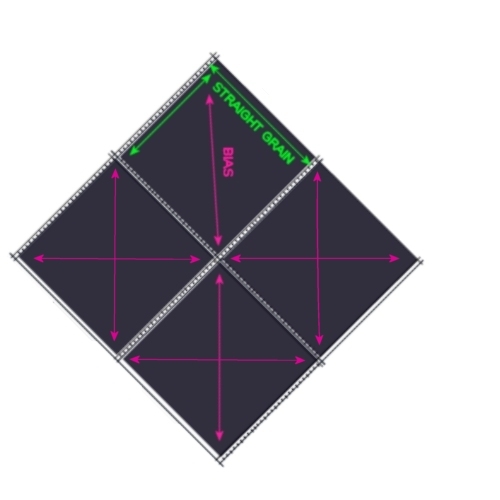 It seems inspired by Chinese designs. 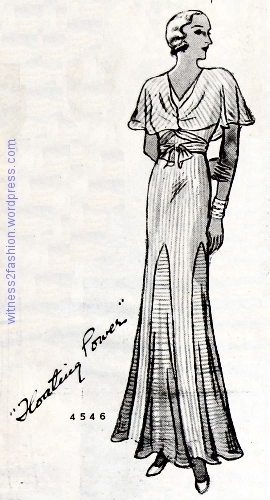 Delineator, August 1926. 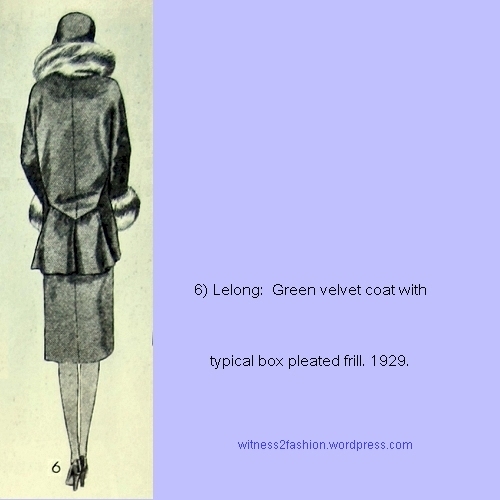 Surprise: the coat is made of taffeta! 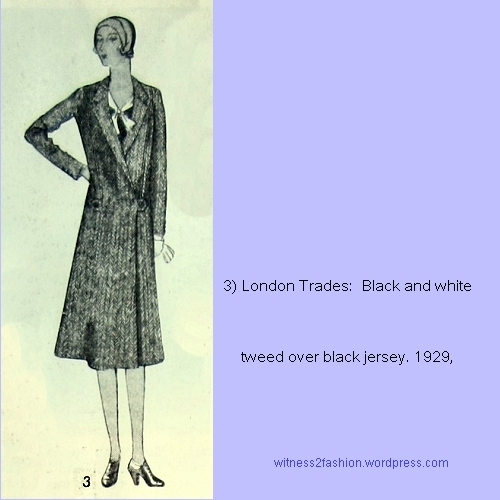 However, the braid could also be applied to a light wool. 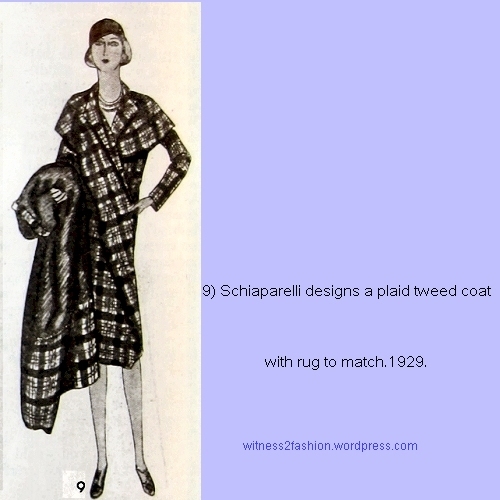 It would be an unusual quilting motif. 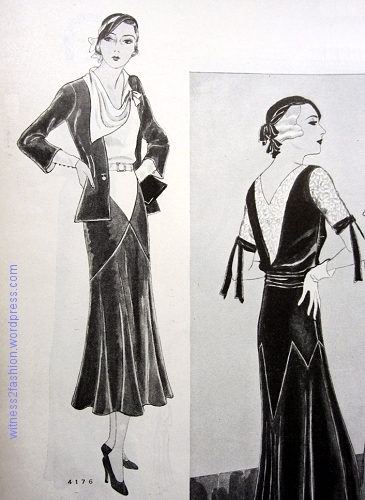 I’m always attracted to twenties’ styles with a geometric quality. 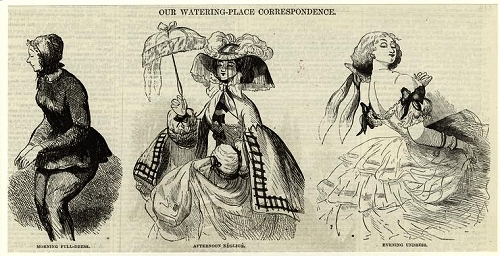 The yellow dress below is complex but not fussy (I’m not big on ruffles or fluttering chiffon) and the top-stitching made me think it might be a light wool fabric (but it’s silk.) 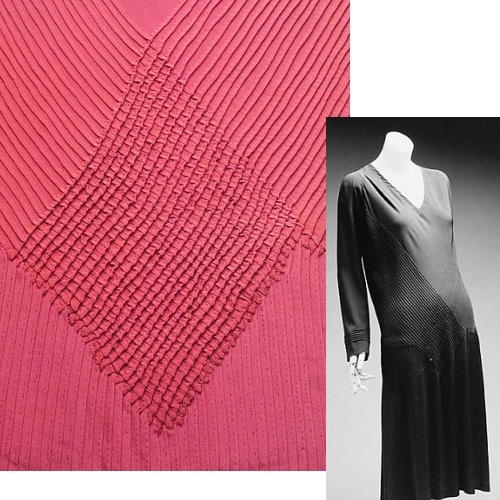 The tab of material that passes through the front looks like a designer touch; I like the top-stitched self belt, and the parallel diagonal lines add interest. 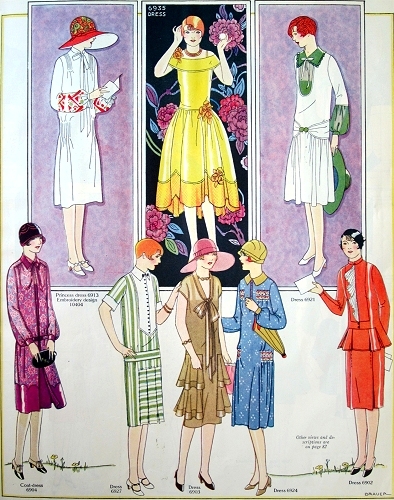 The dress shown in yellow is Butterick 2682, from June of 1929. 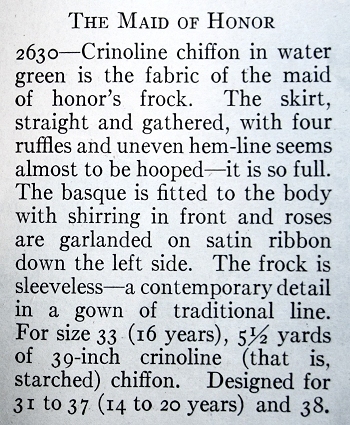 Another surprise: This is referred to as a tennis dress! 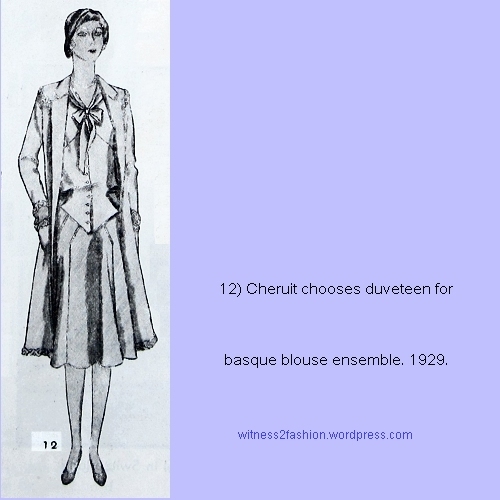 (I do hope there was a sleeveless version….) 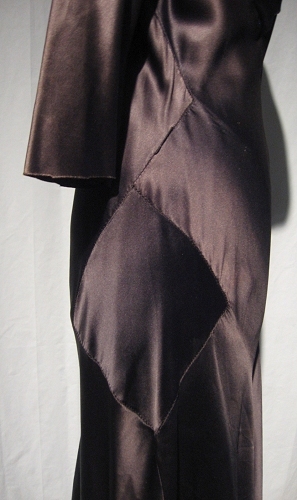 There are pleats in back, too. 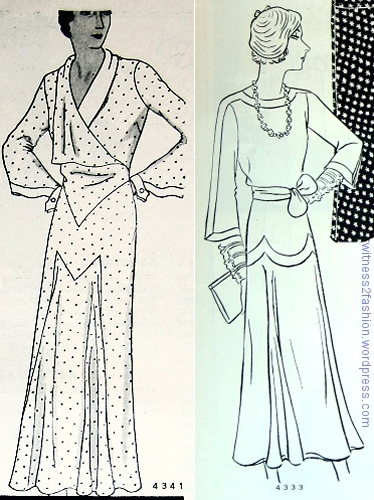 The print dress on the right illustrates Butterick pattern 2675, from 1929. 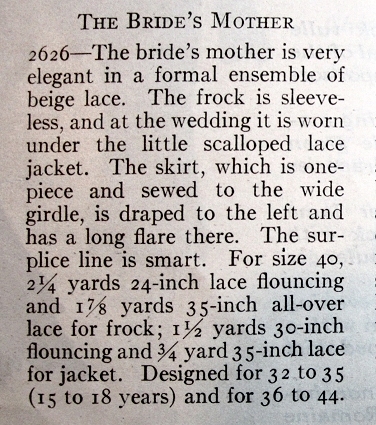 Left, Butterick 7017, for girls 8 to 15. 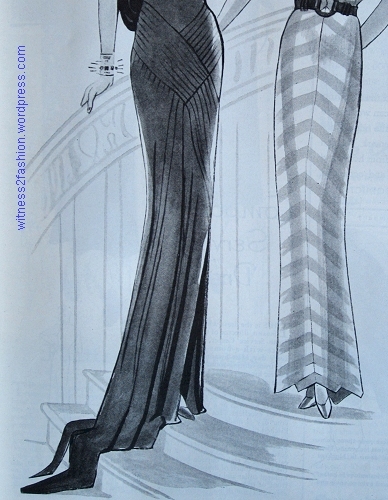 Right, Butterick 7021 is decorated with embroidered (and appliqued?) 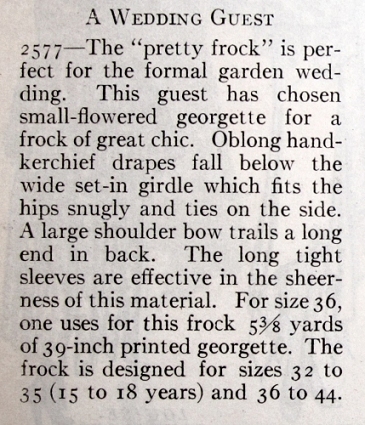 flowers for girls aged 6 to 10. 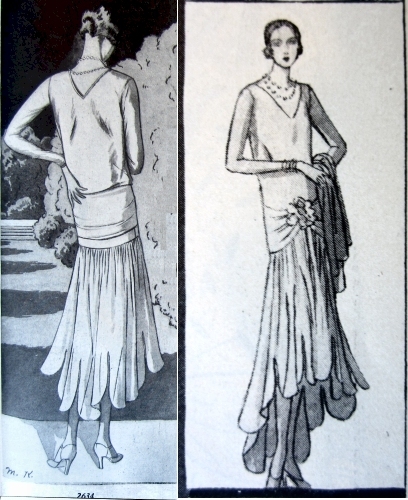 Delineator, August 1926. 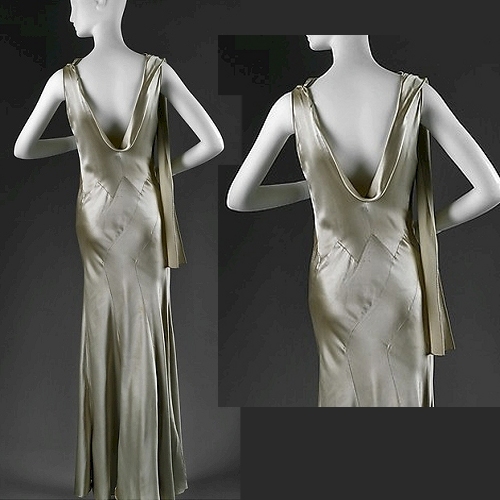 For sophisticated ladies, a set of lingerie inspired by Vionnet would be just the thing. 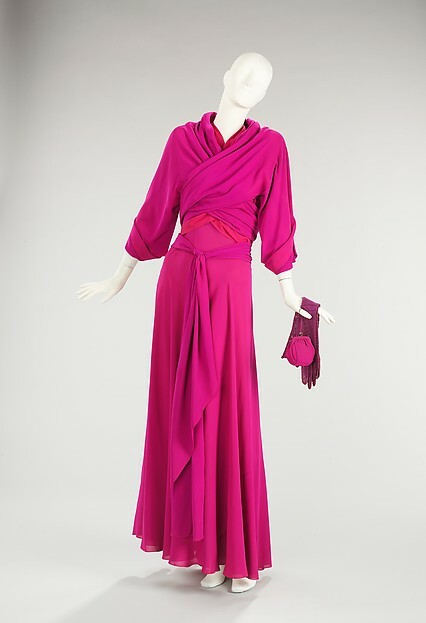 Personally, I’d prefer this lounging pajama set! 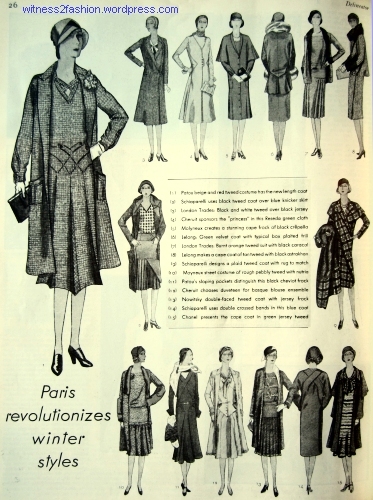 Suggested Christmas gifts made from Butterick patterns; Delineator, December 1928. 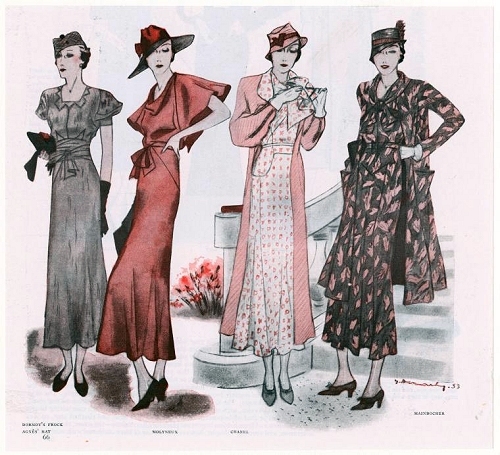 Butterick lounging set 2288. 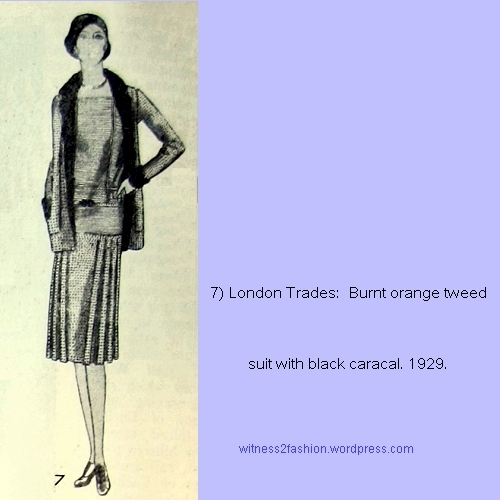 December, 1928. 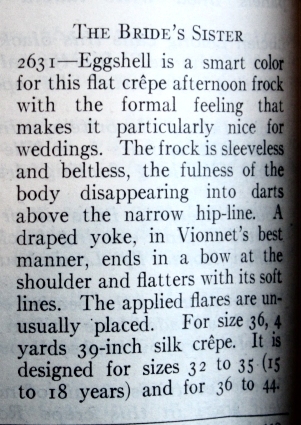 Back to more trivial patterns: Butterick claimed this set of lingerie was inspired by Vionnet. 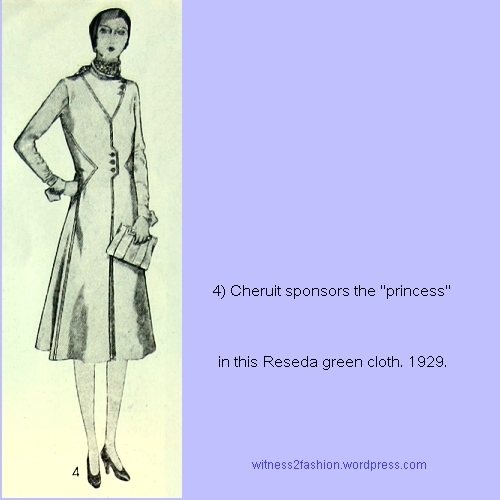 It included a step-in, underpants, and a nightgown. 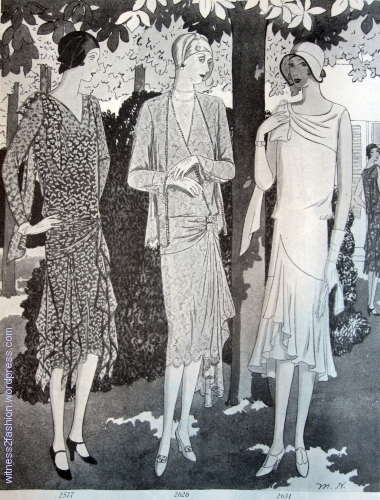 This step-in with lace inserts is Butterick pattern 2348; from 1928. 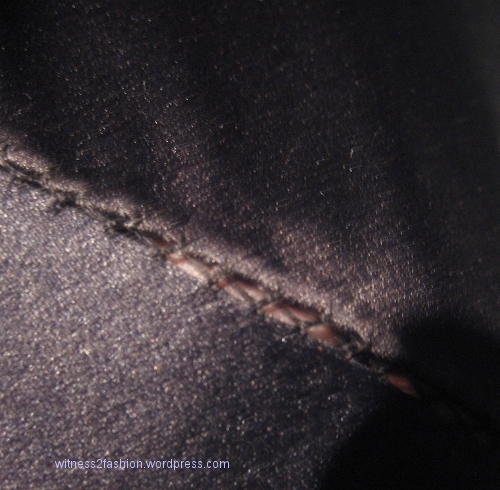 Step-ins usually buttoned at the crotch. 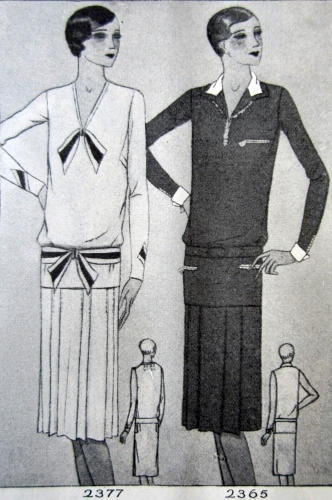 Butterick 2349, “tap pants”/underpants/drawers/dance pants are part of a set; 1928. 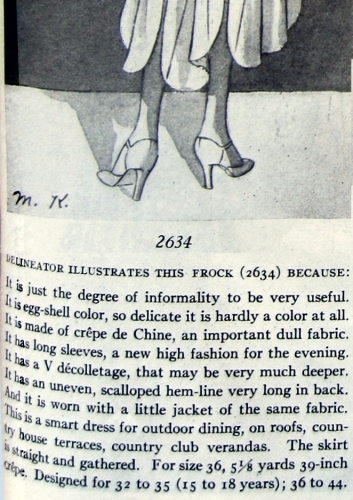 The vocabulary for underpants is varied. 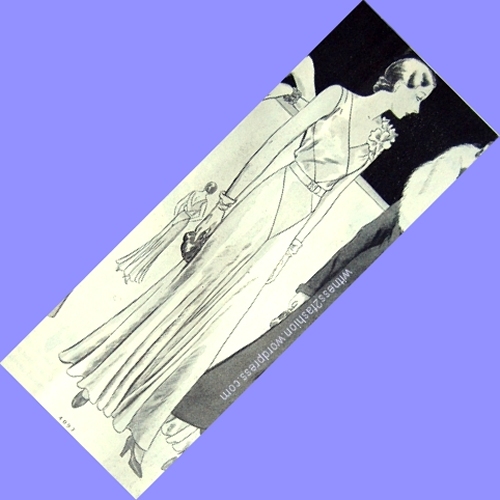 This night robe [nightgown] — flows smoothly. 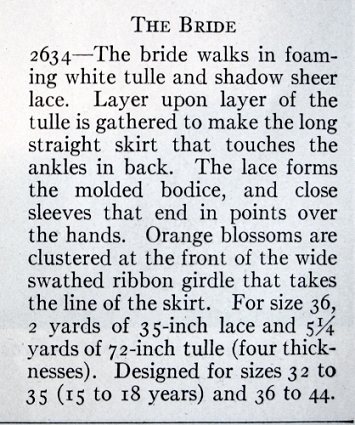 Butterick 2350, from 1928. 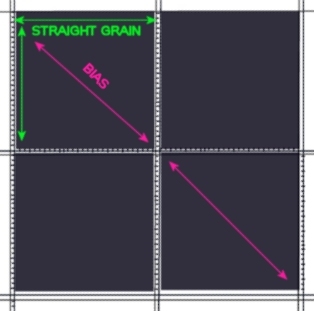 The text does not say whether the set is cut on the bias, just that it’s made of “geometrical sections”. 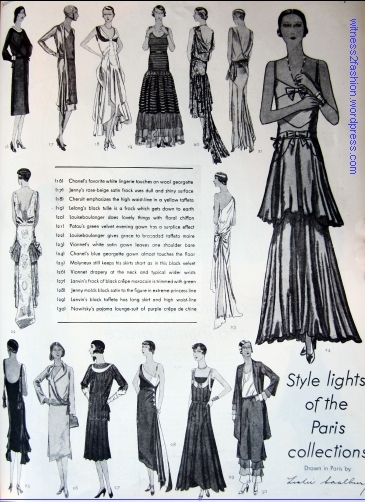 It’s certain that any of these undies would look good under a sheer negligee. 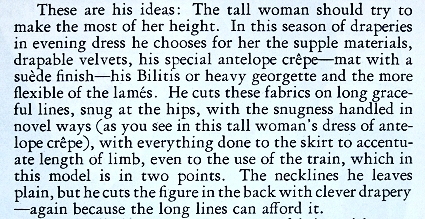 According to this article in The Woman’s Home Companion, January, 1936, couturier Jean Patou suggested that, rather than dressing to look taller (if you’re short) or more petite (if you’re tall), women should choose designs that take advantage of their size. 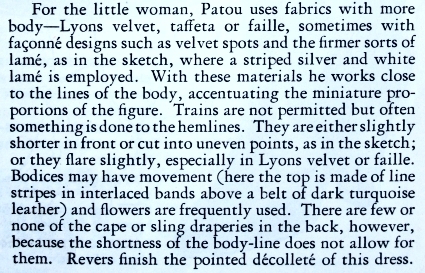 As reported by Marjorie Howard, “Paris Fashion Correspondent,” here is Jean Patou’s advice for penny-wise shopping in the Depression. 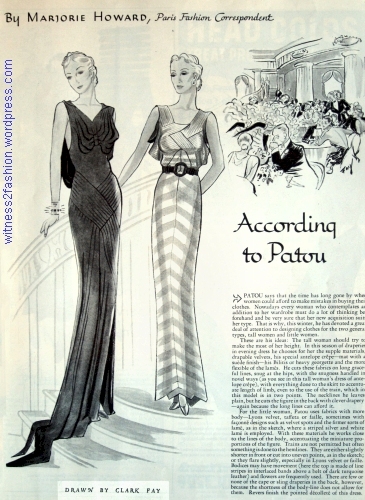 Patou evening gowns, Jan. 1936. 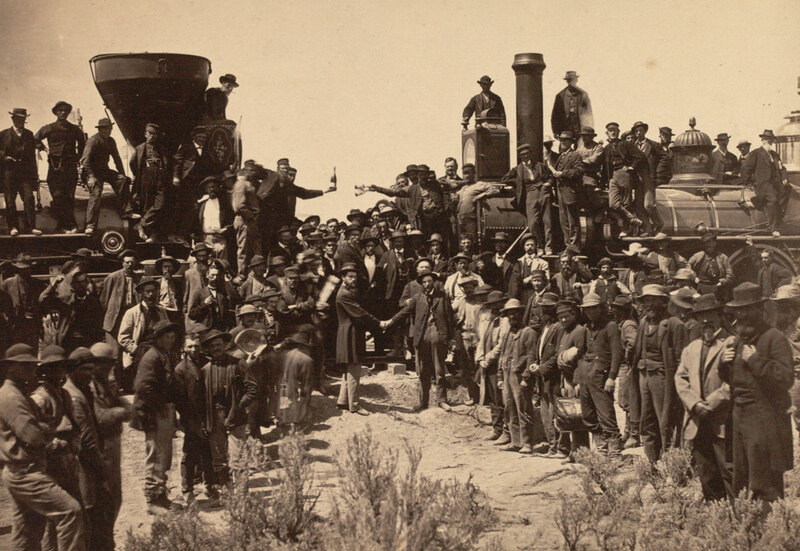 WHC. 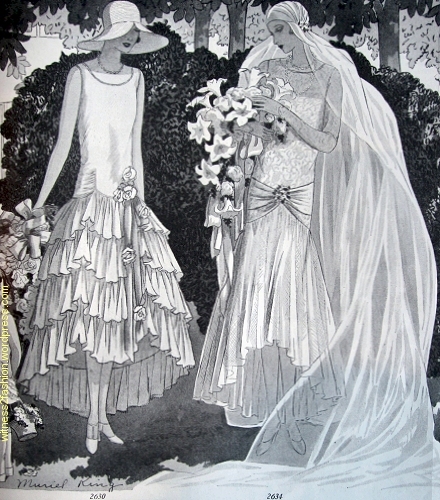 The tall woman is on the left. 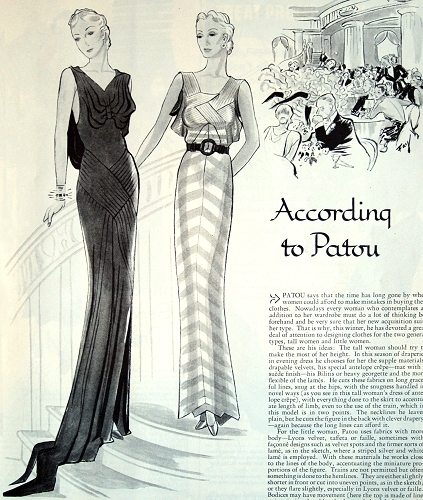 Patou for the short woman, Jan. 1936. WHC. 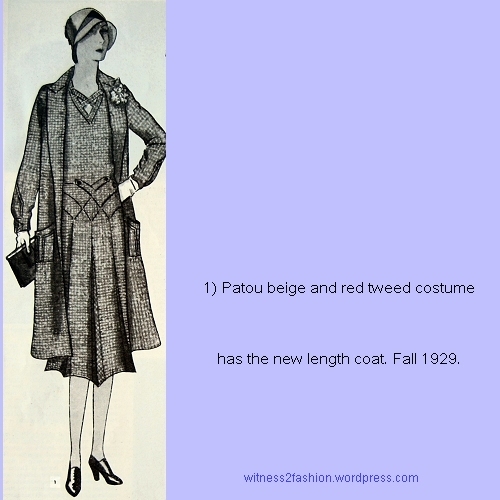 Patou design for a tall woman (left) and for a short woman (right.) 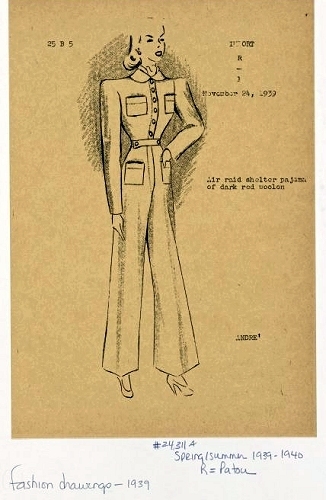 Jan., 1936. 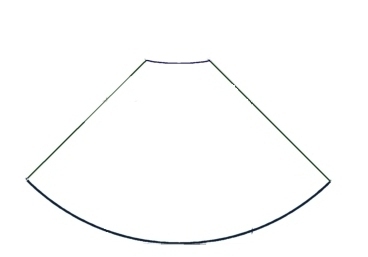 These are both complex designs. 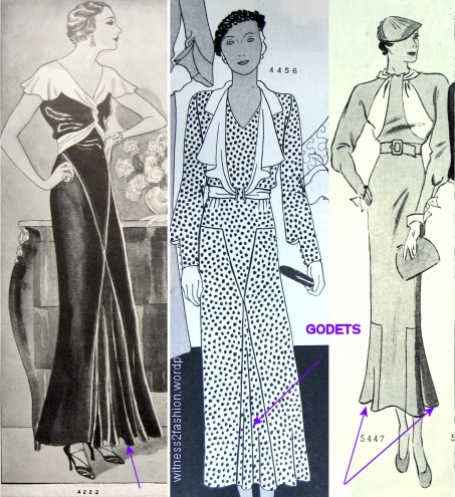 What a shame that we can’t see color: the belt in “dark turquoise leather.” The gown on the left, of “antelope crepe — mat with a suede finish” has a back drape “because the long lines [of a tall figure] can afford it.” Anyone wishing to copy the bodice on the right, with silver lame bands that almost seem to be woven over and under, will find the stripes helpful in determining straight of grain and bias. 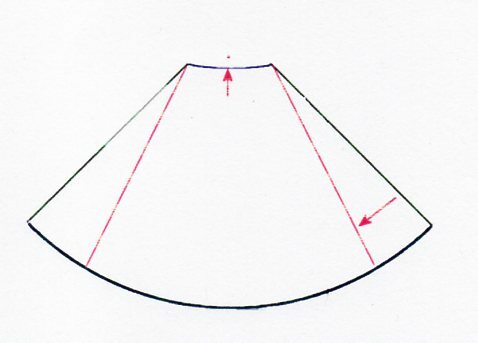 That assumes a careful drawing, of course. 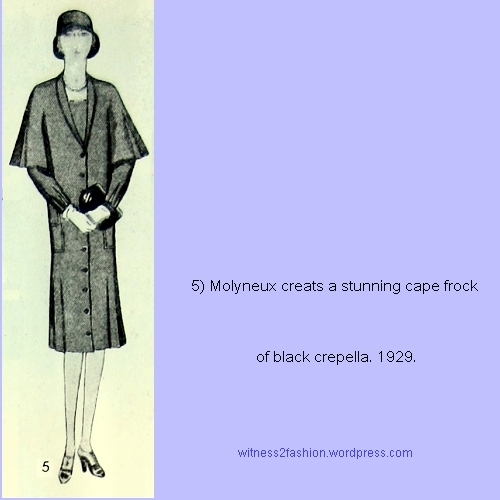 “The top is made of line stripes in interlaced bands….” The text says that capes or sling drape designs in back are not suitable for short women, but some kind of dark lining (of a cape of drape?) 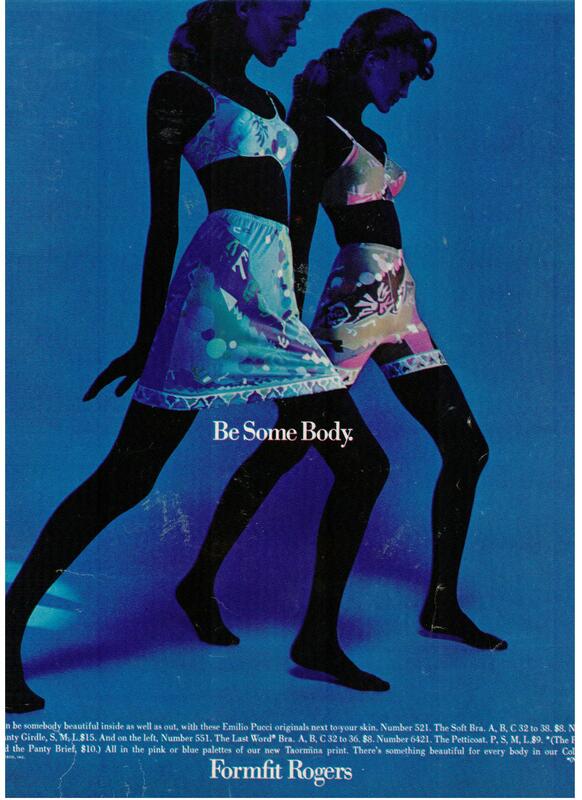 seems to be visible under the model’s arm. 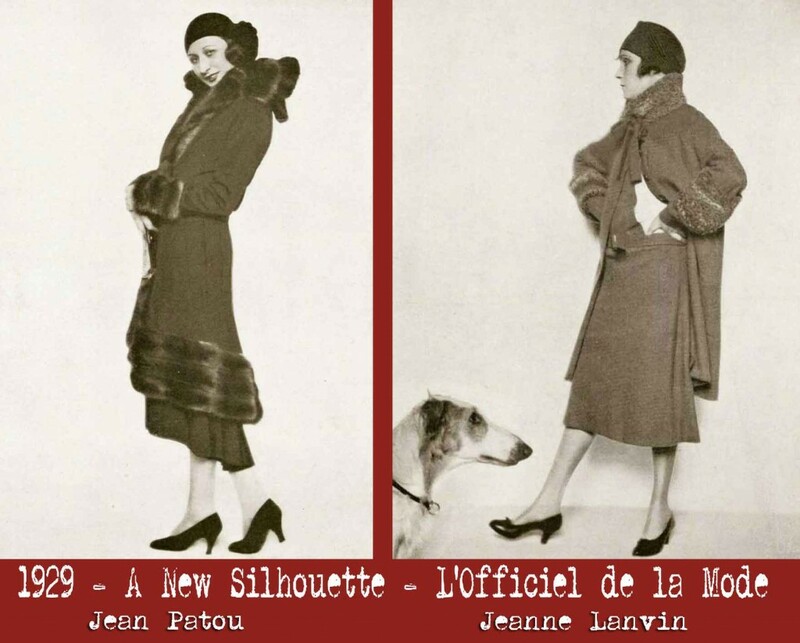 Skirt details of two gowns by Patou, 1936. 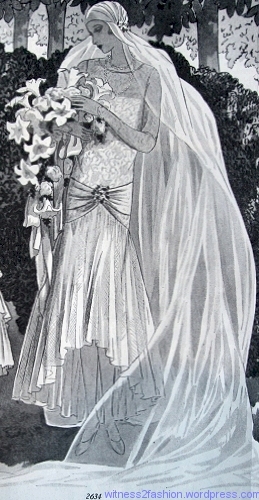 The illustration by Clark Fay seems to show a side slit. The text says the train ends in two points, but as drawn, it looks like a recipe for a broken neck! 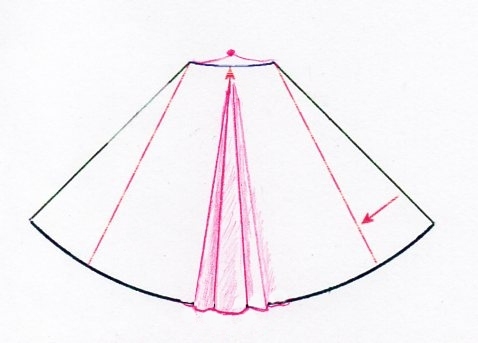 do the tucks in the hip bands continue into the skirt on both side? 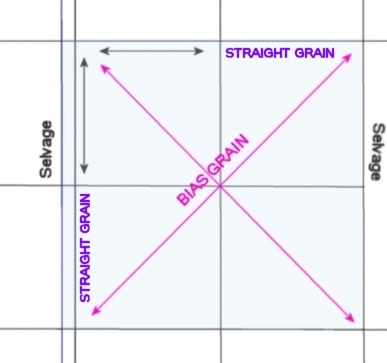 Is it symmetrical? 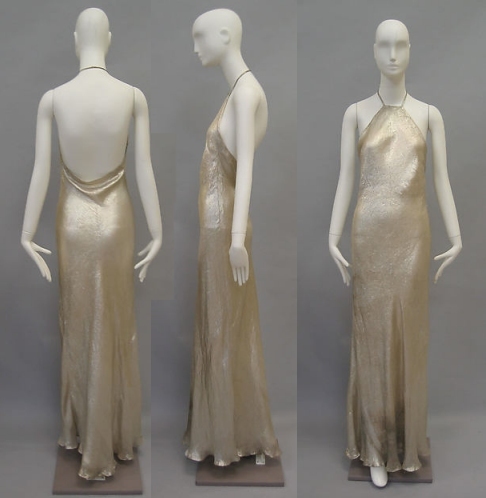 It’s definitely glamorous. 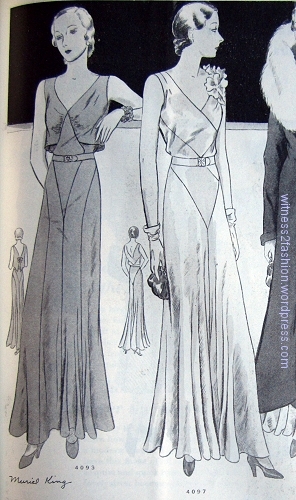 The short woman on the right has a strange hemline “cut into uneven points.” The chevron accenting the center front seam is slenderizing; how nice that the two woman are not equally slim, but proportionate to their heights. 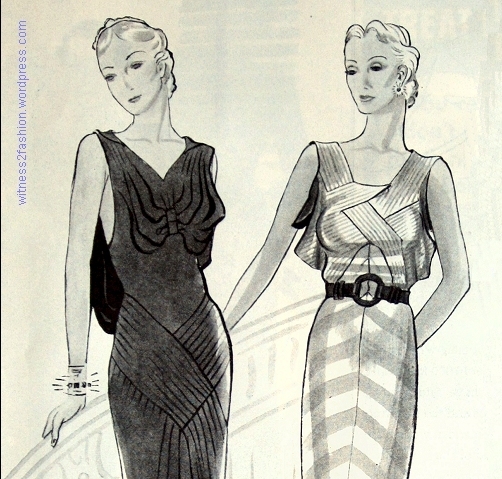 By the standards of 1930’s fashion illustrations, the woman on the left is downright voluptuous. 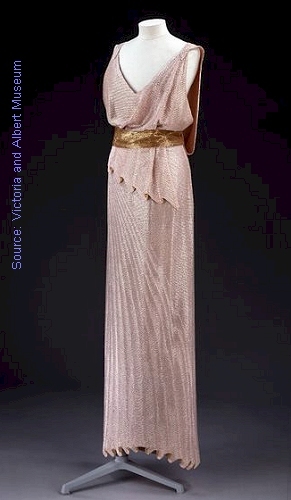 Although Patou was known for his influential sportswear in the 1920’s, this gown, made of tulle covered with pink sequins, is a Patou from the early 1930’s, in the collection of London’s Victoria and Albert Museum. 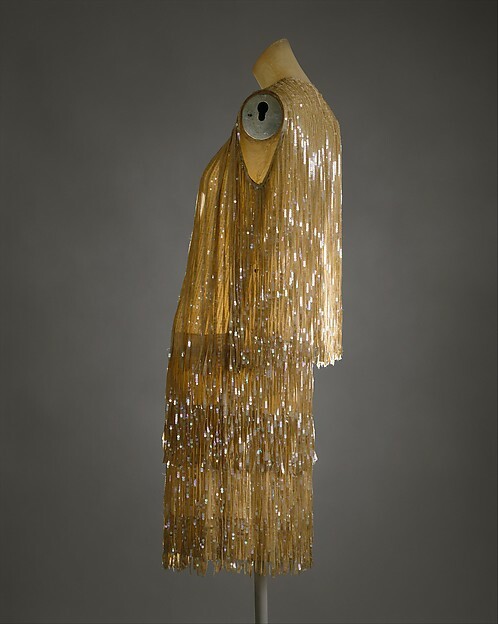 Jean Patou, sequinned evening gown, early 1930’s in collection of Victoria and Albert Museum. 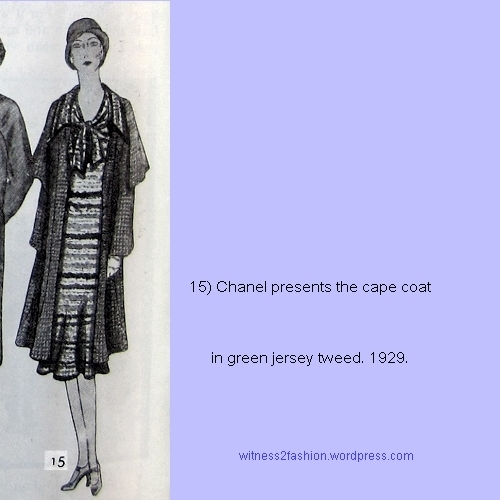 It has a “cape or sling drapery” in back, and a contrasting belt, like the 1936 “little woman’s” gown illustrated in the Delineator. 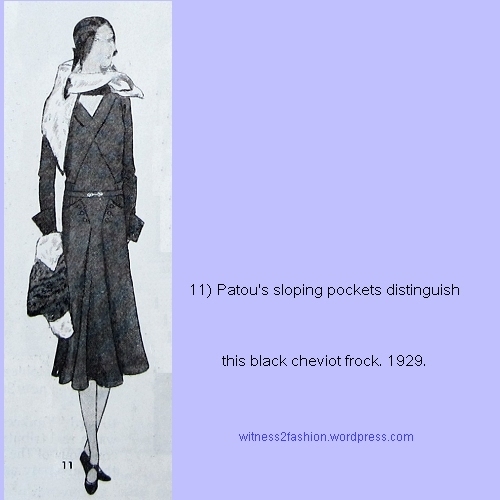 Jean Patou died in 1936, but the House of Patou — and “Joy” perfume — continued. 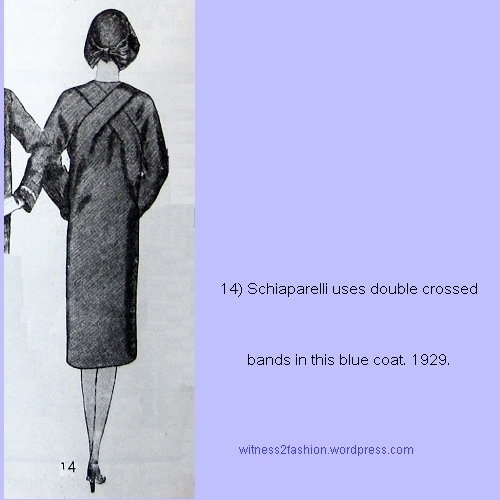 Incidentally, around 1936-37, several couturiers began using zippers in fitted dresses. 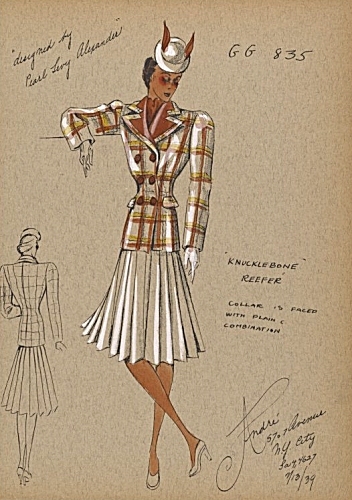 Zippers — finally light enough to be used with delicate fabrics — began to take the place of snap closings, making possible form-fitting gowns that didn’t gape open between the snaps. 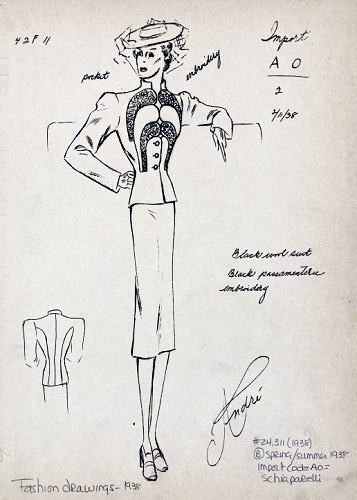 Zippers appeared in sportswear earlier than in Couture. 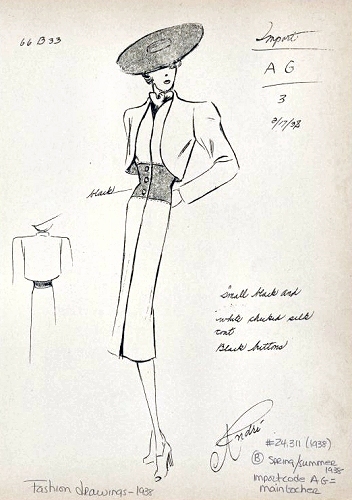 Butterick pattern #2365, in December 1928, called for zippers at the neckline and pockets. It tied in with an ad for Talon. 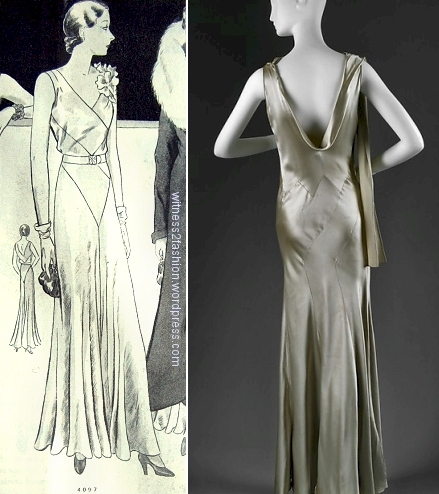 Madeleine Vionnet used a zipper in a blouse/step-in (what we would call a bodysuit) in 1929, and the design was copied by Butterick. 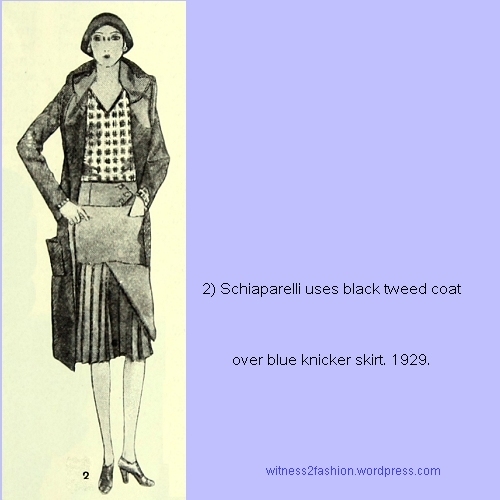 Click here for a post about it, with pictures. 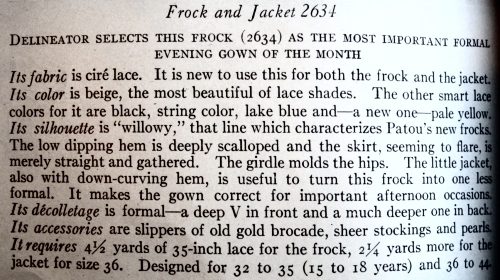 Robert Friedel’s book Zipper: An Exploration in Novelty mentions couture in the late 1930’s, but only briefly.